Previously, we explored the breathtaking visual magic of outer-space thriller Gravity, the technology that brought a dragon to life in The Hobbit: The Desolation of Smaug, the process of building the San Francisco cityscape of 2259 for Star Trek Into Darkness and the task of animating an army of automated suits of armor in Iron Man 3. Now we look at the tools and techniques that gave audiences not one, but two amazing train sequences in Gore Verbinski’s big-screen adventure starring Hollywood’s famous masked man, The Lone Ranger. 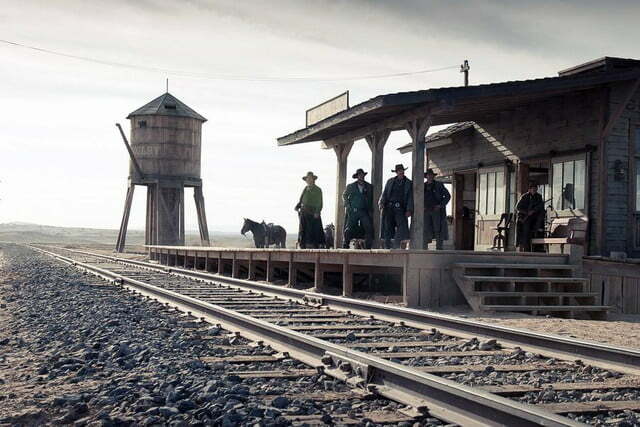 More than any other movie in this year’s slate of Academy Awards “Visual Effects” nominees, The Lone Ranger serves as proof that a film need not be successful at the box office – or well-liked by critics – to merit an invitation to the Oscars party. 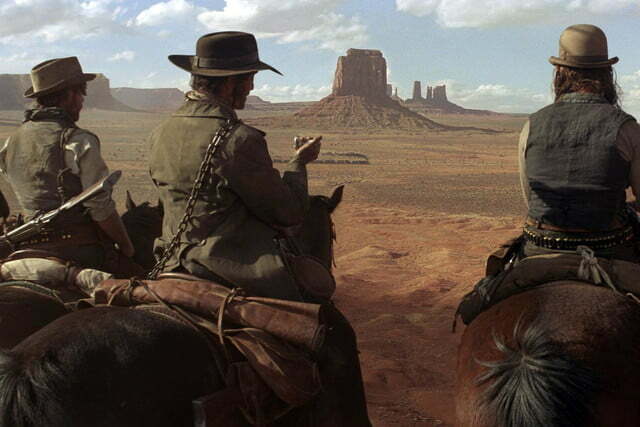 Directed by Gore Verbinski, the big screen adventure based on the classic Wild West hero was savaged by critics, with many complaining about its long, 149-minute runtime and perceived lack of certainty about what sort of film it was intended to be. Was it a family-friendly Western? 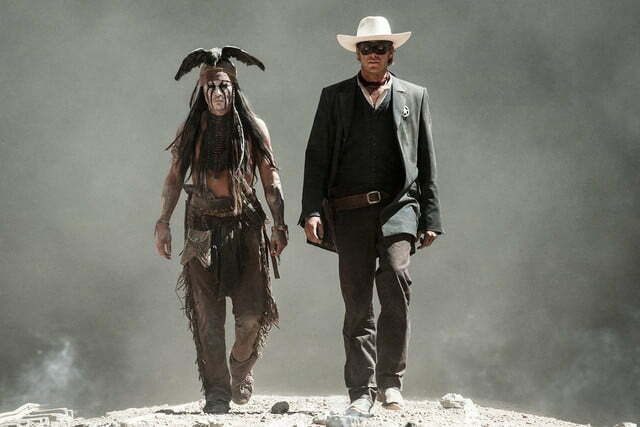 A parody of classic Lone Ranger stories? 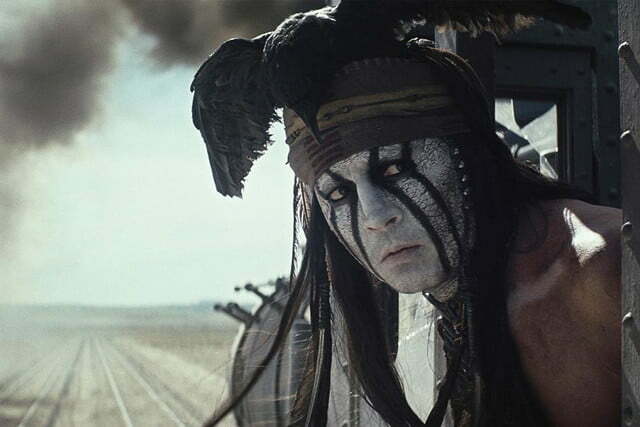 The end result was a critical and commercial flop made even more disappointing by the knowledge that The Lone Ranger was once expected to be Walt Disney Pictures’ next big franchise-starter, à la Pirates of the Caribbean: The Curse of the Black Pearl. 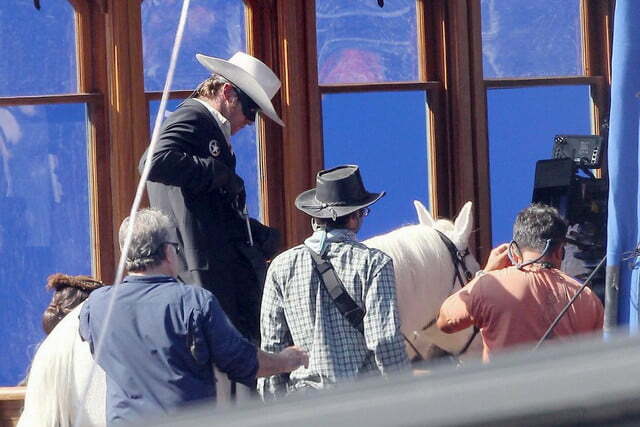 Still, amid all the complaints lobbed at The Lone Ranger, a pair of sequences at the beginning and end of the film were frequently held up as prime examples of the project’s potential and what the movie managed to do well amid all the criticism. 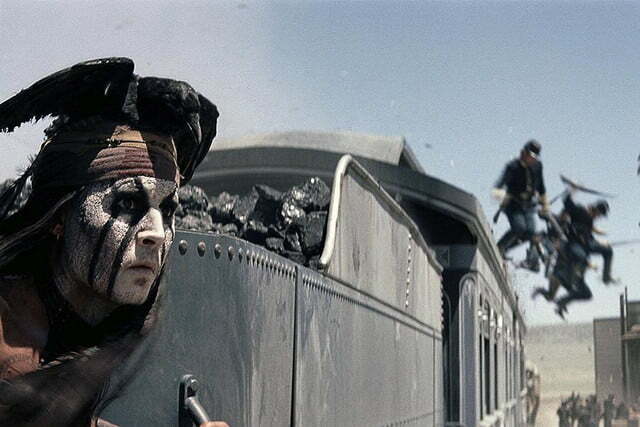 Those bright spots were a pair of fast-paced sequences that unfolded in, around, and on top of trains chugging along at breakneck speeds while the film’s heroes, John Reid (Armie Hammer) and Tonto (Johnny Depp), attempted to foil the villains’ plans. The wild, wonderfully shot train sequences were produced by the team at Industrial Light & Magic, the celebrated visual effects studio created by George Lucas back in 1975 that was acquired by Disney in 2012. 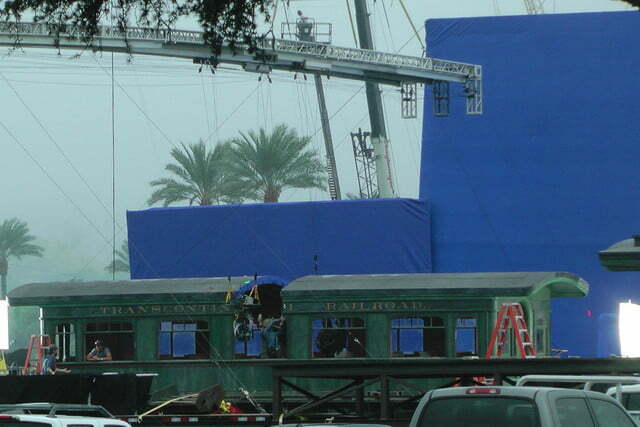 Verbinski previously teamed with ILM for the visual effects work on his Pirates of the Caribbean films, as well as his previous project, the animated Western adventure Rango. 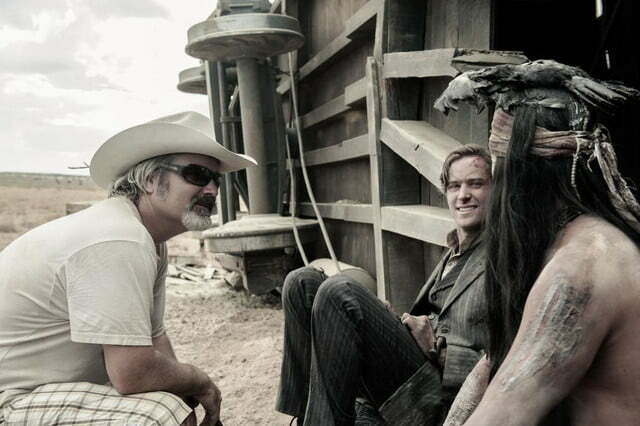 However, while Verbinski and the ILM team had some familiarity with each other coming into the project, they would be treading new waters with the scenes that were expected to be the film’s most memorable sequences. 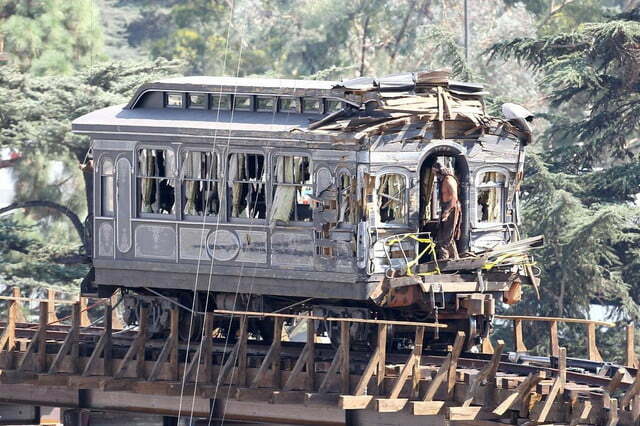 “It became apparent that the train was going to be a significant character in the movie symbolizing progress and the inevitability of change. 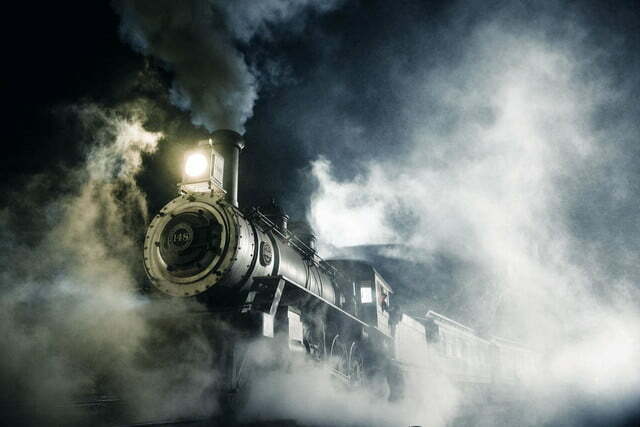 And once you have that train in there … it couldn’t just sit in the background,” Verbinski told Studio System News late last year. 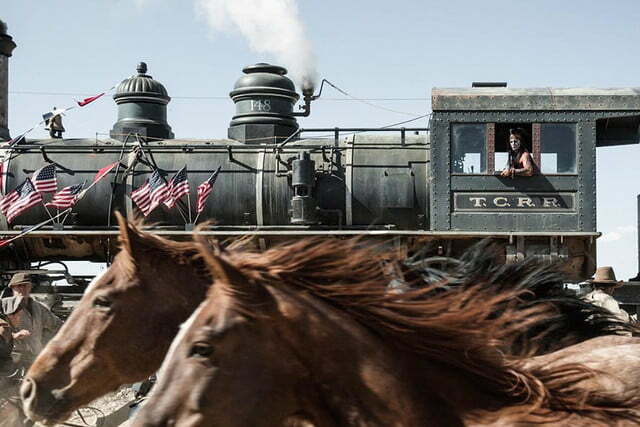 In the first train sequence, John Reid and Tonto attempt to stop Butch Cavendish (William Fichtner) and his gang after a daring breakout. 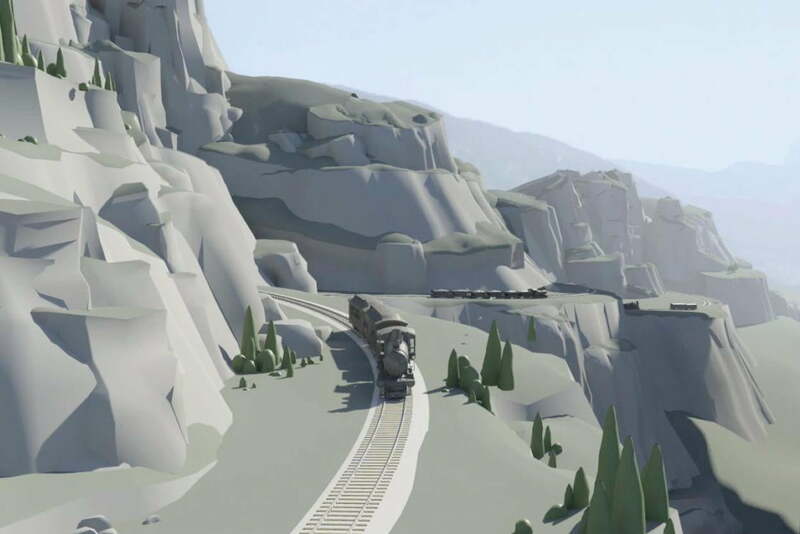 Tethered together by a chain and faced with the dual threat of both Cavendish’s henchmen and a runaway train, the pair manage to make their way from one end of the train to the other in order to rescue the passengers and bring the locomotive to a steel-bending standstill. 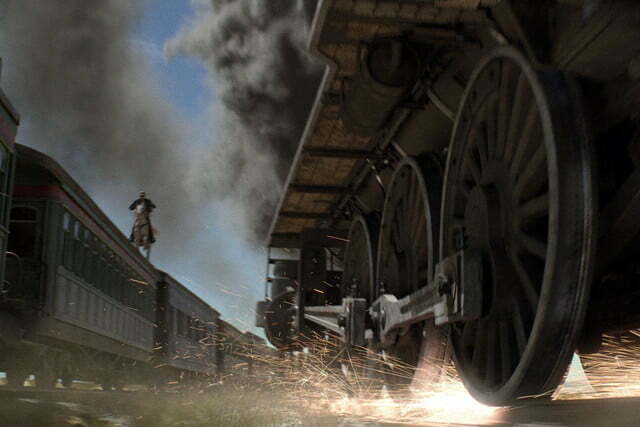 That early sequence – which is brief compared to its counterpart in the climax of the film – does a nice job of establishing the tone of the action and visual effects Verbinski rolls out over the course of the film. 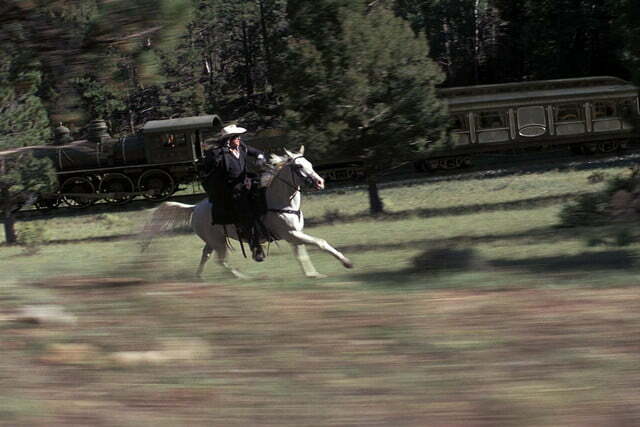 John Reid and Tonto’s adventure culminates in a third act that features two trains chasing each other on criss-crossing tracks, hurtling through a landscape of forests, deserts, cliffs, and tunnels. 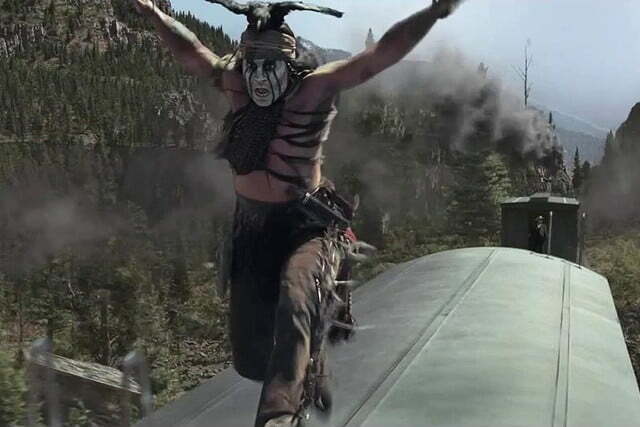 As the trains speed along in parallel with Tonto in one train and a host of villains in the other, John Reid pursues them while riding his trusty steed Silver, eventually overtaking them and – in one memorable sequence – galloping across the top of a train while it chugs along. 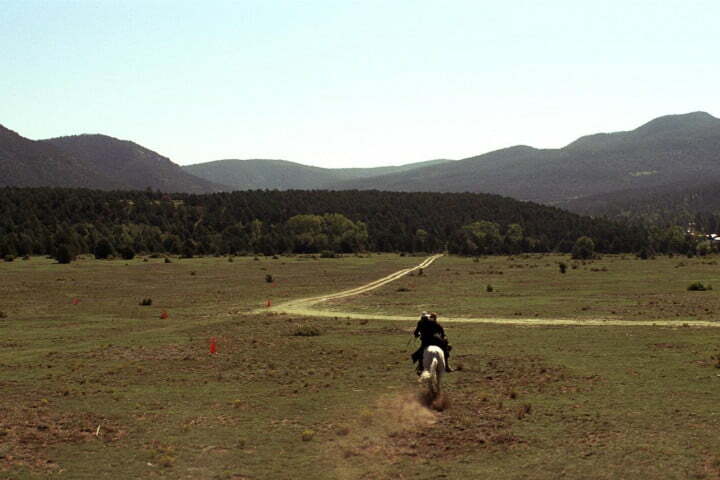 Naturally, this all unfolds to the tune of William Tell Overture, the iconic theme of The Lone Ranger. 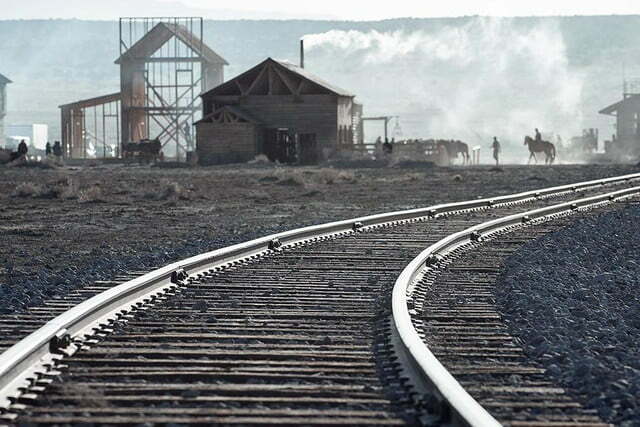 The team relied on a homemade, five-mile circle of railroad track that they built to create specific shots. 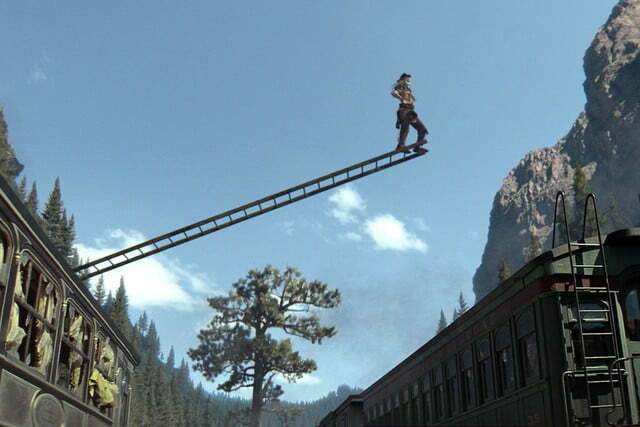 In order to have the train sequence run through all of the different environments Verbinski envisioned, the team shot in five different states and multiple sections of tracks that offered the proper background and opportunities for digital enhancement. 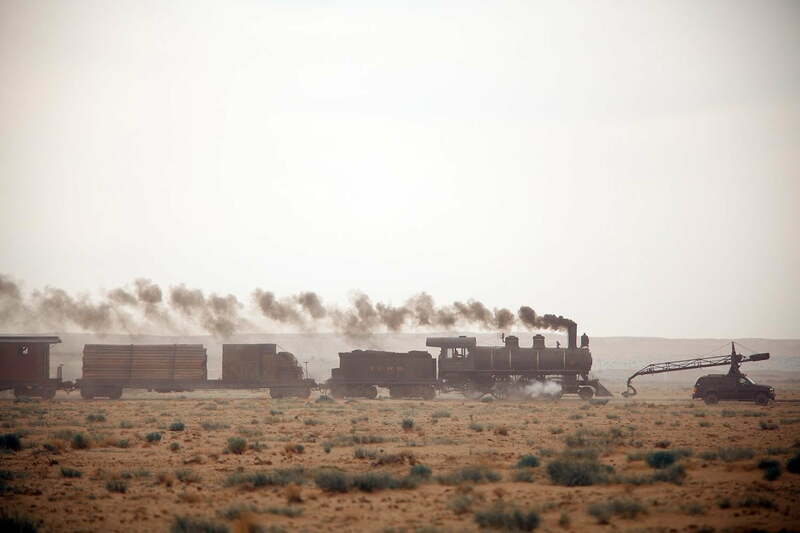 (“[We were] looking at pretty much every single train track out there,” said Alexander.) 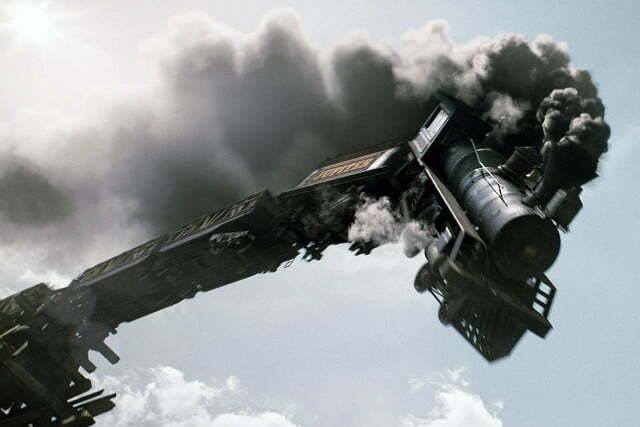 The plan was to keep at least half the action of the sequence happening in the frame as it was shot and create the other half digitally, with footage of the actors on top of a train or shots of the train itself matched with digitally created environments that featured the other train chugging along in parallel. Of course, any decent train sequence requires at least a few scenes involving actors interacting on top of (or alongside) the train. 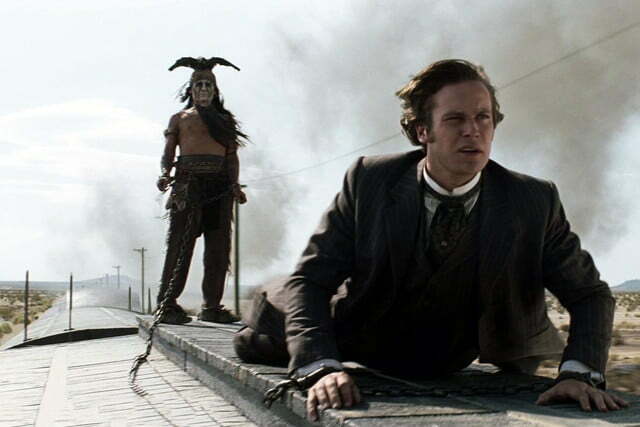 In order to produce the scenes Verbinski had envisioned for The Lone Ranger, the visual effects team used several different techniques, ranging from the fully digital to the death-defyingly real. 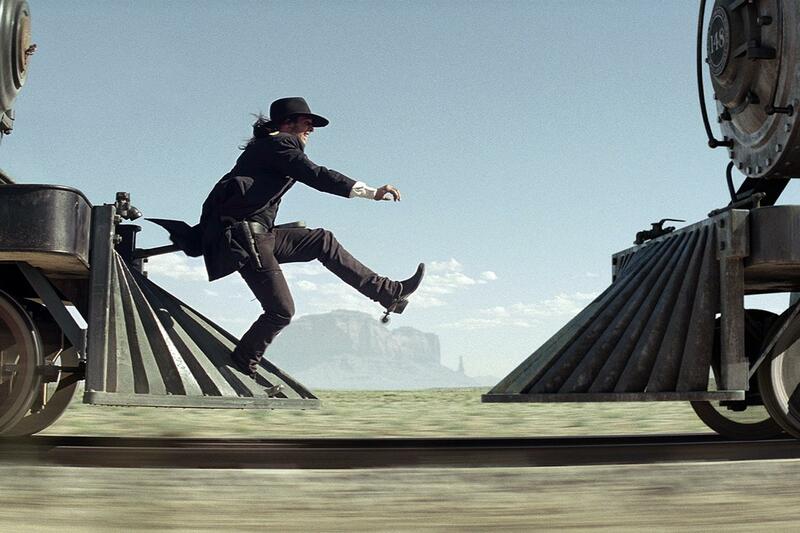 In addition to the usual blue-screen techniques for shooting the scenes, Verbinski and ILM also relied on a homemade, five-mile circle of railroad track that they built to create specific shots which required more control of the train’s speed and the placement of cameras. 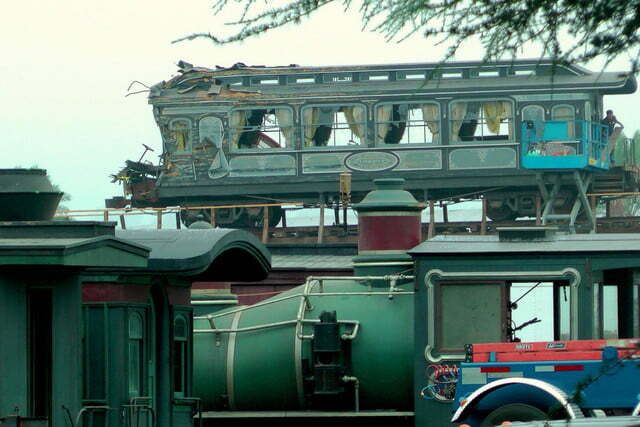 The film featured trains prominently, in keeping with the era. 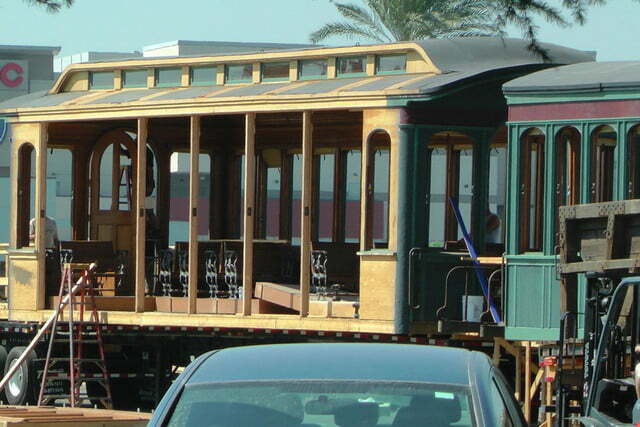 The other technique the team made use of was a series of railroad cars that were mounted on tractor-trailer trucks. 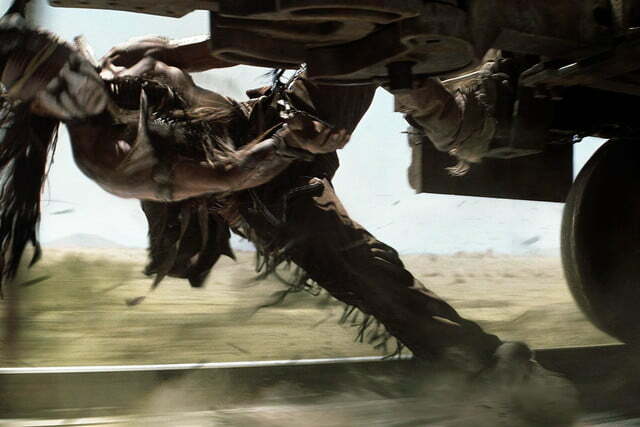 More so than the studio shots, the truck-mounted cars produced some of the most useable footage – and left a lasting mark on some of the actors. Approximately 95 percent of what you see on the screen was added digitally. Still, in order to keep the focus on the actors as the train careened through the countryside, the ILM team had to push the limits of what they were capable of creating when it came to the rapidly moving surroundings. 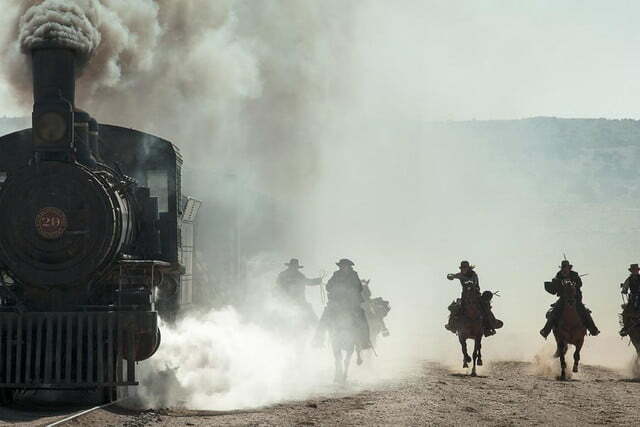 Between the ever-present smoke, the combination of digital and authentic elements, the natural transition between light and dark as the trains hurtled along, and the speed at which everything was moving – to name just a few of the issues the visual effects designers faced – the initial plan to keep at least half of the action happening in front of the camera (instead of digitally added) had to be scrapped early in production. 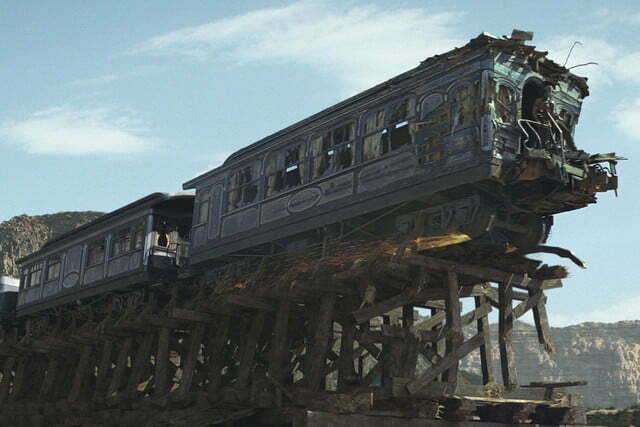 Instead of following Verbinski’s “50-percent rule,” ILM was forced to rely on almost entirely digital environments for much of the third-act train sequence. This would prove to be the most extensive work ILM had ever done on digitally created “natural” environments, and demanded the design of wide-reaching vistas, deserts, forests, and mountains with a level of detail that made them indistinguishable from the authentic elements of a scene. That they also needed to be discernable at high speeds only added to the scale of difficulty. 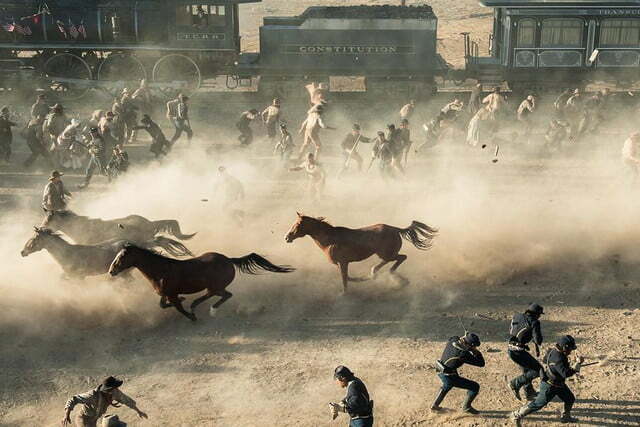 For it’s work on the Lone Ranger, Industrial Light and Magic earned an Oscar nod. 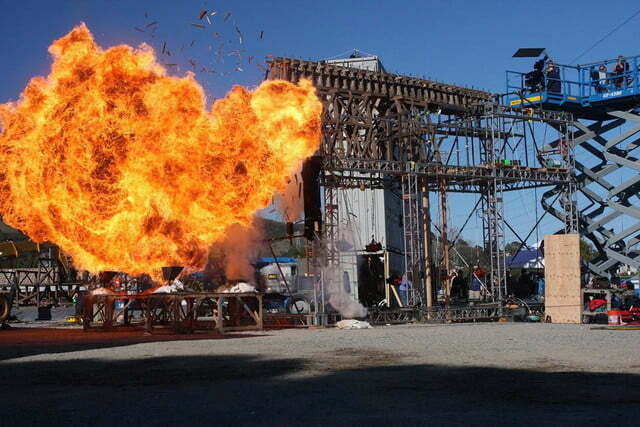 According to Alexander, there came a point at which the ILM team realized that their original 50-percent mandate would have to be adjusted for the grand finale of the film, and the end result was a long, highly detailed sequence in which approximately 95-percent of what you see on the screen was added digitally. 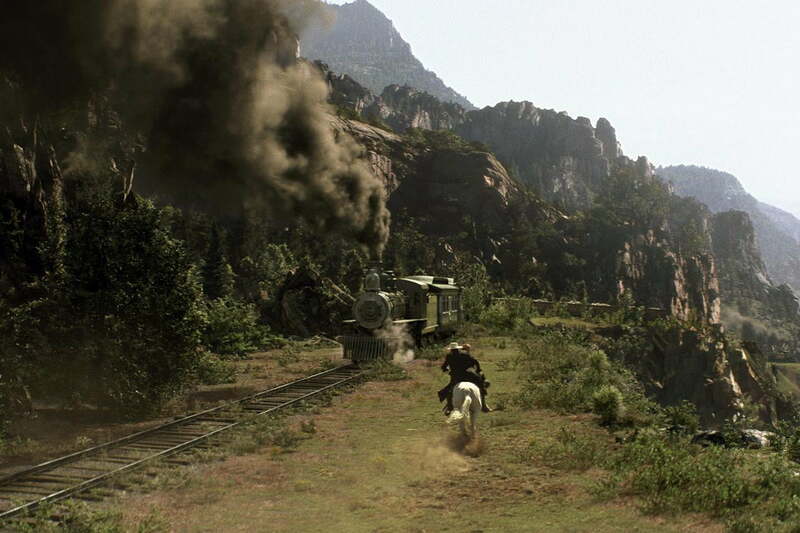 That it’s so difficult to tell which elements are happening in front of the camera and which elements were added later is a testament to the achievements of the ILM team – and all the justification necessary for the presence of The Lone Ranger among this year’s “Visual Effects” nominees.